Are you packing your bag to Vietnam? Curious about what to bring and what to expect? Don’t worry. We at Hanoi Voyages feel the responsibility to help you be well-prepared for Vietnam. We have compiled the most concrete, updated Vietnam Travel Guide for you. 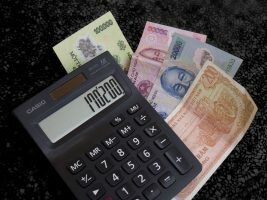 Vietnamese people mainly use cash and the currency used is the Vietnamese đồng (VND). Note that you can also use a credit card, but only in restaurants or convenience store. There are always taxis in big cities. So, always remember to check that the meter is on and that the km are shown. Recently Grab and Go-Viet are popular ride-hailing apps in Vietnam. They are both available in English and offer both taxies, private cars, and motorbikes. What are the usual prices, how are the homestays in Vietnam, what are the Vietnamese holidays, ...? Price tags are rarely displayed in Vietnam. Therefore, you should have a basic idea of the average price of some basic items. Always remember to bargain for items in markets (especially clothes) and on the street (even those with price tags). In reality, it is very rare that the seller expects you to accept the first price that they offer, even if it is just a couple of dollars you are trying to bargain down. 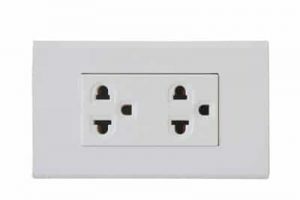 The most common outlet in Vietnam is the two-pronged “European” style (220V), which requires two straight, parallel prongs, unlike the three-pronged UK plug. Make sure you bring an adapter if you bring electric appliances under 220V (eg: 110V). You can see which foreign plugs you will be able to use in Vietnam right here. To get an authentic Vietnamese experience, why not choose a home-stay? If you fancy mountains and villages like Sapa in the North, then you cannot miss this experience. It is very different from the usual bed and breakfast that you know from all around the world. The owner would be a local family, and you will be able to enjoy their normal life and everyday food. Here you will find a large room for sleeping with other travellers. Mattresses, a duvet, and mosquito are of course available. 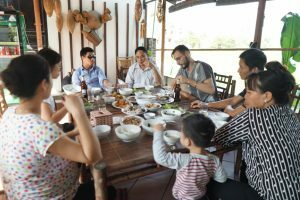 As authenticity is of high importance, Hanoi Voyages put a high emphasis on homestay experience. Read our article about Hiep’s family homestay and how we have helped his family! Still think that Vietnam travel guide is not enough? Still worried?